E.coli can make Disulphide bonds if you ask it nicely. Human protein, expressed in NEB SHuffle cells, correctly folded, crystallised, solved, etc. 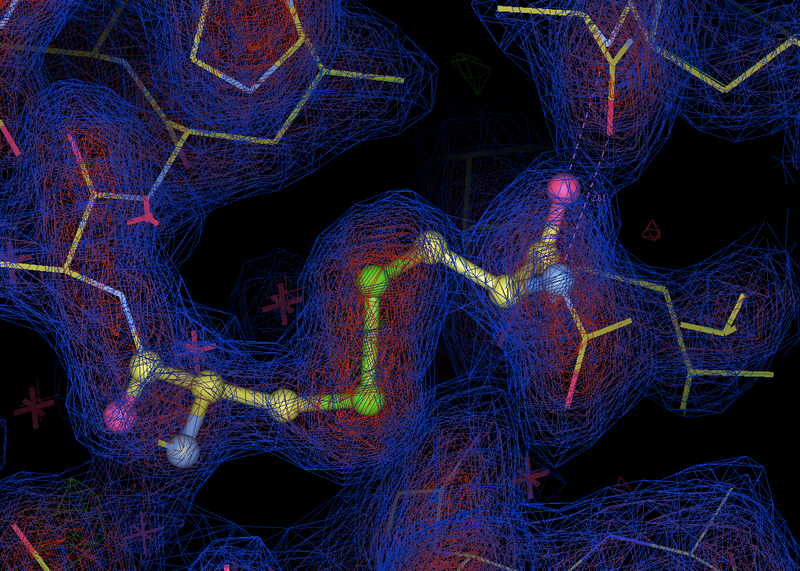 Electron density around a Disulphide bond – which E.coli cannot make in their cytoplasm normally – unless you tinker with a few genes here and there. EDIT: Click to see the picture more clearly – I don’t know what WP has done to it, but it should look crisper than that. You are currently browsing the Anomalous Distraction blog archives for May, 2012.